Gambia’s National Assembly has passed a bill imposing life imprisonment for some homosexual acts, officials said Monday, potentially worsening the climate for sexual minorities in a country with one of Africa’s most vocal anti-gay leaders. The bill amending the criminal code was passed last month and brings life sentences for “aggravated homosexuality,” minority leader Samba Jallow told The Associated Press. That is a charge leveled at repeat offenders and people living with HIV/AIDS. Jallow said that while his National Reconciliation Party did not condone homosexuality, he voted against the bill along with one other lawmaker. “In our view, (homosexuals) did not commit a crime worthy of life imprisonment or any treasonable offense,” he said. Homosexual acts were already punishable by up to 14 years in prison under a Gambian law that was amended in 2005 to apply to women in addition to men. 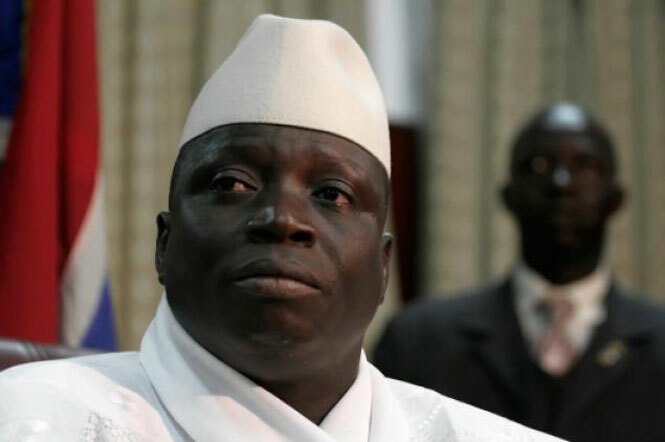 The bill now awaits approval by President Yahya Jammeh, an autocratic ruler who in 2008 instructed gays and lesbians to leave the country or risk having their heads cut off. Jammeh, who came to power in a 1994 coup and is famous for speeches condemning Western powers, has not addressed the new bill publicly. National Assembly Speaker Abdoulie Bojang confirmed the new bill was passed last month but would not provide further details. A draft seen by The Associated Press contains language identical to a controversial anti-gay bill signed into law in Uganda earlier this year. In addition to “serial offenders” and people living with HIV/AIDS, both pieces of legislation say examples of “aggravated homosexuality” include when the suspect engages in homosexual acts with someone who is under 18, disabled or has been drugged. The term also applies when the suspect is the parent or guardian of the other person or is “in authority over” him or her. It was not immediately clear whether there were changes to the draft prior to the National Assembly vote. Uganda’s Anti-Homosexuality Act, which drew widespread international condemnation, was overturned last month by the country’s Constitutional Court, which declared the law illegal because it was passed during a parliamentary session that lacked a quorum. Human Rights Watch reported in May that the legislation had triggered “a surge in human rights violations,” including arrests, police abuse and evictions. Gambia has previously launched occasional crackdowns on the country’s gays. A 2012 raid at a poolside birthday party in the capital, Banjul, led to the arrests of 18 men, some of whom said they were interrogated and beaten before undergoing a very public trial that destroyed their reputations. The new bill could make life even worse for Gambia’s gays, said Francois Patuel, West Africa campaigner for Amnesty International. “It only adds to the discrimination and to the climate of fear that gays and lesbians … are living under,” Patuel said.